The professional installation, maintenance, and repair technicians of Shaylor’s Ponds & Patios work very hard to produce the finest ponds, waterscapes, hardscapes, and landscaping features for your home or business. You always get your money’s worth when you hire Shaylor’s Ponds & Patios to get your service completed with efficiency and competence. Chad Shaylor, the owner of Shaylor’s Ponds & Patios, is fully educated and trained to implement the best practices to ensure that your project is installed according to universal codes and standards to ensure the long-term durability and beauty of your project. We know that you work hard and you deserve a company that works hard to make your home or business as attractive and inviting as possible. At Shaylor’s Ponds & Patios, we are fully committed to applying all of the principles of producing aesthetically pleasing landscaping results together to complete your project with the highest degree of professionalism. Whether you choose to have a pond installed or a diverse combination of landscaping features including hardscaping and waterscaping features, our expert installation technicians will work with you to ensure that your design will meet your expectations. Before we break ground, we will consult with you to determine which materials, colors, styles, and other features you would like to have installed and we will assist you by answering any questions that you have along the way, as well. Please feel free to browse the websites of our preferred premium manufacturers below to preview the materials available for your project and gather ideas for making your property and grounds as attractive as your imagination allows. We are certified to install all of the materials from our preferred manufacturers. This allows you to take full advantage of all warranties offered by the companies that we partner with. We also fully guarantee all of our work. We are here to assist you with your project from start to finish and are certain that you will be absolutely delighted with your installation from Shaylor’s Ponds & Patios. 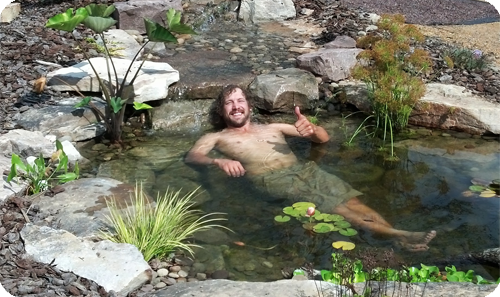 Learn more about our exceptional natural pond installation techniques and maintenance services, patio, wall, and hardscape design and installation, waterfalls, fountains, and year-round landscaping services. Call Shaylor’s Ponds & Patios directly.